Hiring an employee for an organization is not restricted to finding the right fitment. It is essential to ensure that the employee does not have a dubious background. Therefore a background check is carried out to verify that the individual in question has the qualifications claimed by him and that he does not have any criminal history. However, the background check needs to be carried out within the legal purview. Hence it becomes essential to engage the services of professional investigators for carrying out a background check. When an organization is carrying out recruitment, it may be flooded with resumes. It is essential to filter out the genuine resumes from the entire lot. This is where a background check is useful. It helps you verify the qualifications of the individuals. You can also check from the previous employers regarding the work ethics and habits of the individual. This gives more clarity about the individual and can help decide whether he/she can be recruited or not. 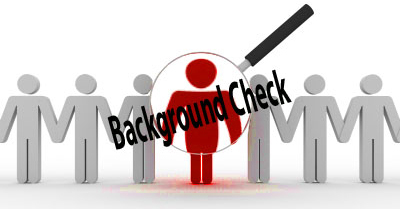 A criminal background check is vital before hiring an employee. This is because a criminal background of the employee can be dangerous to the organization in more ways than one. A candidate with a criminal history is dangerous to the other employees as well as to the organization. Hence, it is essential to ensure that the employee does not have any criminal background. Many a time potential employees do not reveal certain medical conditions they might be suffering from. It could happen that these conditions may negatively impact their performance. Hence, it is important to check the medical history of the candidate. However, this check requires a written consent of the candidate. A credit check is conducted to verify the financial reliability of an individual. This is especially useful while associating with someone to carry out a business partnership. A credit check also warrants the consent of the individual. If you require the services of professional investigators to carry out a background check in Broward County, FL, you can contact Young’s Investigative Services.